The Tampa Bay Rays will play what is being billed as "a historic game" on Tuesday when they will be the first MLB team since 1999 to play in Cuba. The game will be played in front of more than 50,000 fans that will include President Barack Obama and Derek Jeter. While many hope the game is something that can help usher the two countries into a new era of openness, others are skeptical as there is still distrust from many Cuban-Americans and there are too many reminders of the times they endured. 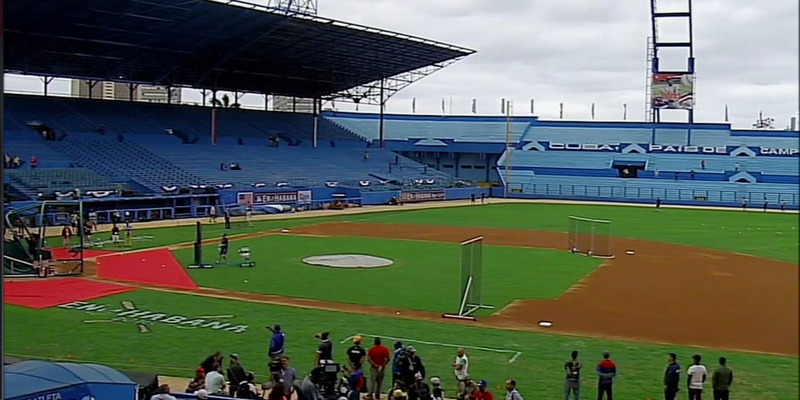 One of those reminders is the very stadium in which the Rays will face the Cuban National Team, Estadio Latinoamericano. Estadio Latinoamericano used to be called Gran Estadio de La Habana, or The Great Stadium, when it was owned by Bobby Maduro. He paid $1.8 million in 1946 ($22 million in today's dollars), according to ESPN, to build the stadium to house the Havana Sugar Kings, which would eventually become the Cincinnati Reds' triple-A club. It had been the dream of Madura to have the Sugar Kings become an MLB franchise. However, when tensions rose in Cuba in 1960, Maduro was forced to move his team to New Jersey and the Cuban government confiscated the stadium, the same government that is still in power today. The family of Madura recalled those days in interviews with ESPN. "Everything was gone," said Jorge Maduro on ESPN, the son of Bobby Maduro. "The stadium, the Sugar Kings, all that, it was all taken away." Dan Le Batard of the Miami Herald and ESPN, whose parents were exiled from Cuba as children, wrote about the impact this game is having on Cuban-Americans, comparing it to "watching a funeral morph into a party." Another loss. That's what this already feels like to so much of Miami, before the "historic" baseball game has even been played. As if the Cubans who fled to this country haven't already felt enough of those losses over the decades. Lost childhoods. Lost roots. Lost families. Lost land. Lost freedoms. 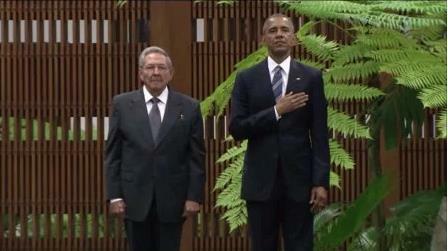 Lost lives in the ocean that divides Cuba and America like the million miles of distance between desperation and hope. So much happy coverage on the television this week. Historic visit! America and Baseball celebrating themselves. Obama and Jeter and ESPN head toward communism like it is another cruise port, so many symbols of Americana descending on a rotting island stuck in the 1950s, and it doesn't feel quite right back in Miami, like watching a funeral morph into a party. The history of my own people feels like it is either being ignored or trampled here, and I'm not quite sure which of those feels worse. Maybe the baseball game will have a lasting, positive impact. But for many, the pain is still too real, and the stadium is just another reminder of that pain for some.